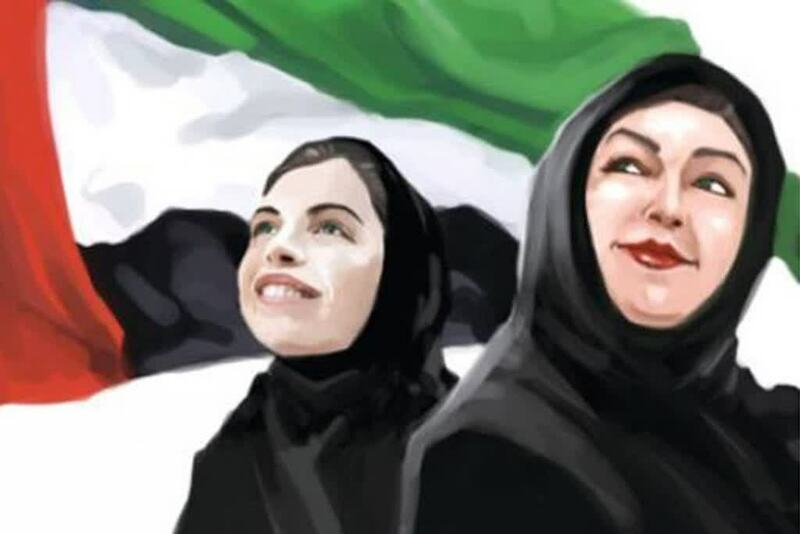 This national day, we look at what it really means to be an Emirati woman through the history of our young, ever growing and innovative country. Emirati women have been the epitome of example for women’s progression in society, workforce and culture in the region. It’s only fair to say that in any society women play a pivotal role, and it’s no different for the UAE. “A woman is half the society” a popular Arab proverb that excellently exemplifies the impact women have in the country. 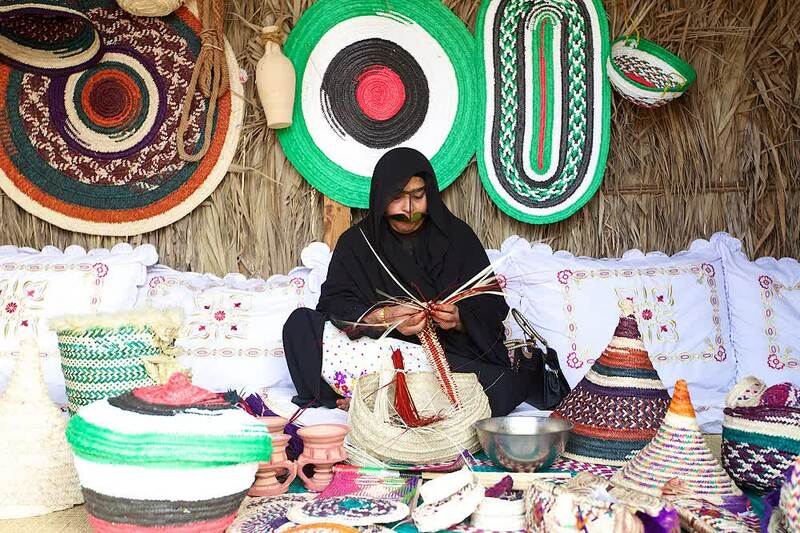 While history may show that women had a role in looking after family while the Emirati men were away for months on end for overseas trade, fishing and even pearl diving – it was the women who worked as traders. They made handiwork with palm trees that they were then able to sell to support themselves. Once the outpour of oil took place in 1958, women in the UAE took on a more important role as the economy and society boomed and expanded too. Women participated in the workforce as well as at home. The late president Sheikh Zayed Bin Sultan Al Nahyan’s wife Sheikha Fatima, the mother of the nation, chairperson of the Women’s Union, Chairperson of the Supreme Council for Motherhood and Childhood is a great example for women in the region to look up to. As an avid women’s rights supporter she has helped the UAE’s Constitution empower women to a rightful place in society. Over the years, there has been access to education and even the same right to practice professions as men. Undoubtedly education played a huge role in the advancement of women in UAE. 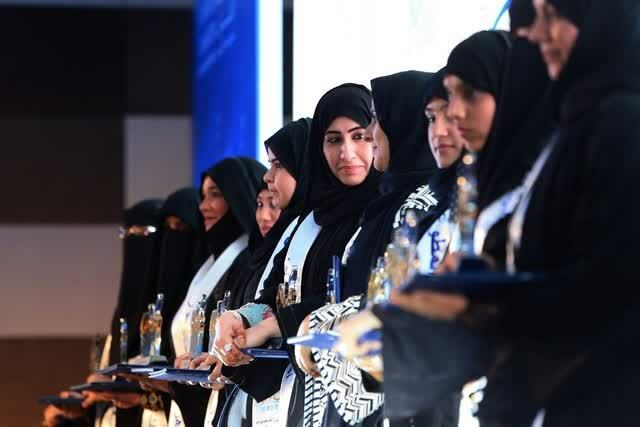 Female university graduates represent today 70 per cent of the total number of graduates in the UAE – among the highest worldwide, and more than 70 per cent of Emiratis in federal higher education institutions are women. 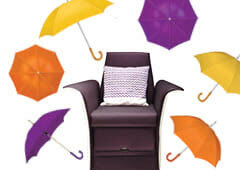 A new age Emirati woman challenges the norms. Working alongside male counterparts, becoming business owners, ministers, pilots and also gained access to judiciary system, and diplomatic corps. making up two-thirds of the government workforce. From HE Sheikha Lubna bint Khalid bin Sultan Al Qasimi as the first woman to hold a ministerial post in 2004, to Kholoud Al Dhaheri as the first woman judge and Maryam Al Saffar, the first Emirati woman Controller of the Dubai Metro. And not to forget Capt. Al Hamli, UAE’s first female pilot, Elha al-Qasimi was the first woman to reach the North Pole, while Nahla Al Rostamani is a UAE female formulas driver. 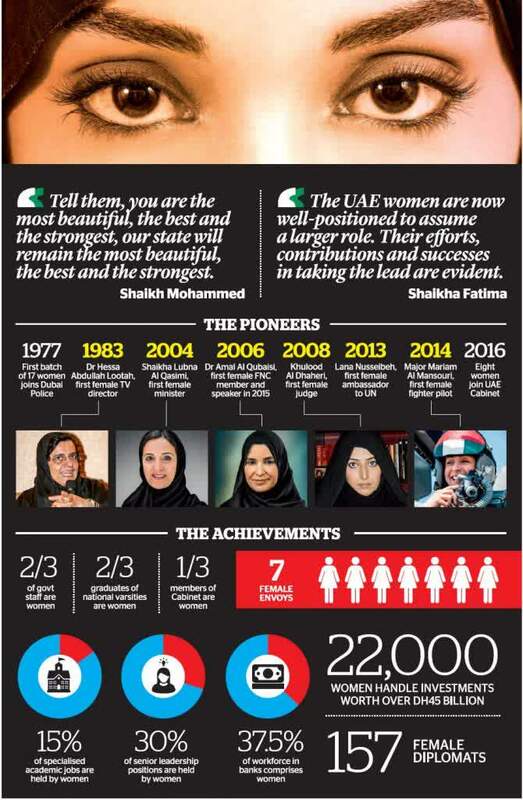 All these incredible women attributed the success of Emirati women to the UAE rulers. UAE has made mounts of progression to boost women and their contribution in the development of the nation, allowing the women to to inspire women across other regions as well. Today, an Emirati woman is synonymous with making an impact in every field and continue to grow and prosper breaking down stereotypes and barriers that may come her way whilst still maintaining tradition and culture that inspire a better, stronger society.